I work one-on-one with clients through the convenience of after-hours Skype appointments. 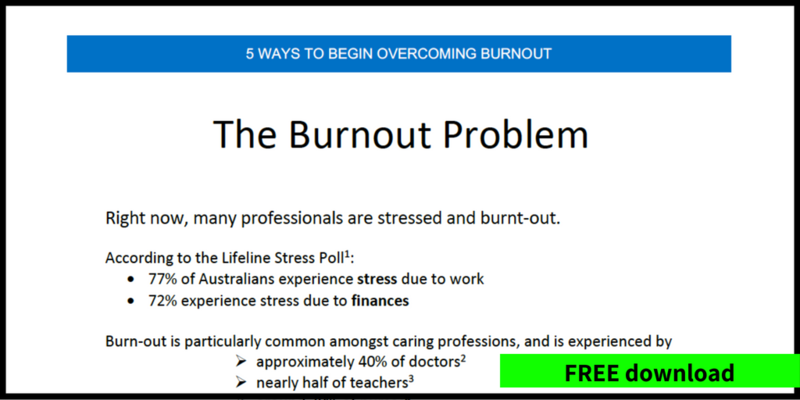 This creates the opportunity for me to assess individual medical history, screen for some important health conditions, and provide tailored management plans to manage burnout. “If you’re burnt-out and stressed, then the sooner you address these problems, the better! I know that you are depleted and drained right now, and it’s hard enough to find the energy to take care of your basic needs. The idea of investing energy into fixing the problems is overwhelming. My role is to guide you through what you need to do to recover, without you needing to search for all the answers and sift through information yourself. In fact, you don’t even need to leave the house, as the program is delivered online. 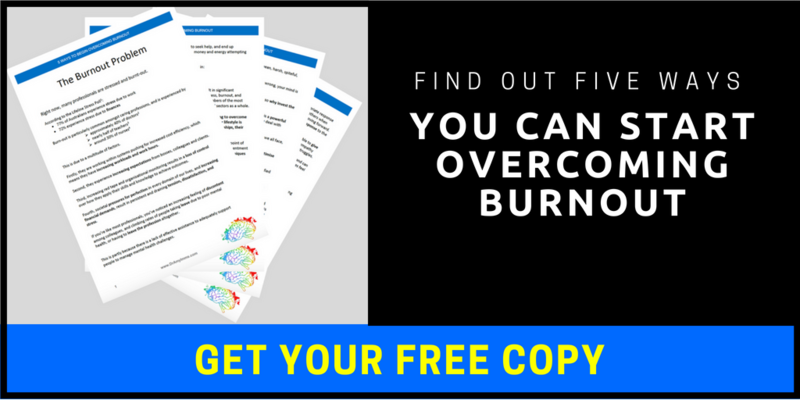 I take on small groups of burnt-out people, and guide them through a 12 week program that provides support and resources during the initial phase of burnout recovery. 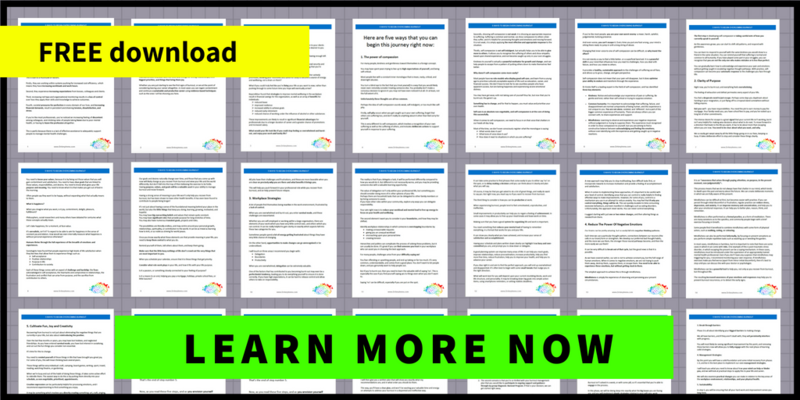 Within these groups, I give you the information you need to know, and help you develop the skills you need.